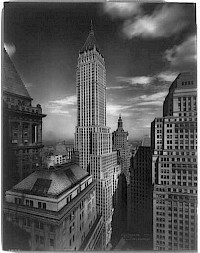 The American International Building is a 66-story, 952 foot (290 m) tall building in Lower Manhattan in New York City. 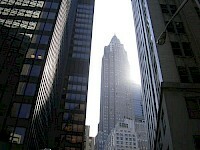 The official address is 70 Pine Street, New York, NY 10270 and is also bordered by Cedar Street and Pearl Street. It was completed in 1932 by the Cities Service Company for the oil and gas baron Henry Latham Doherty. This was during the New York skyscraper race, which accounts for its gothic-like spire-topped appearance, a popular architectural style at that time. 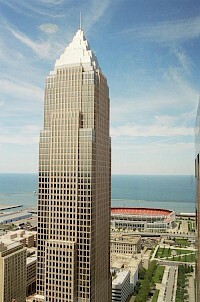 Key Tower is a skyscraper on Public Square in downtown Cleveland, Ohio designed by architect César Pelli. It is the tallest building in both the city of Cleveland and the state of Ohio, the 18th tallest building in the United States, and the 59th tallest building in the world. The top of the spire is the highest manmade point in the state of Ohio. The building reaches 57 stories or 948 feet (289 m) to the top of its spire, and it can be visible for up to twenty miles away. The One Liberty Place Building was formerly the tallest and is currently the second tallest building and skyscraper in the City of Philadelphia and the Commonwealth of Pennsylvania, after the Comcast Center. It is the 19th tallest building in the United States. 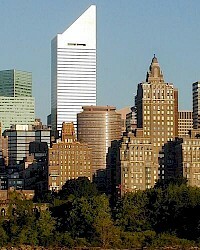 Completed in 1987, One Liberty Place has 61 floors and is 945 ft (288 m) tall, only two feet (0.6 m) shorter than the Key Tower in Cleveland, Ohio. 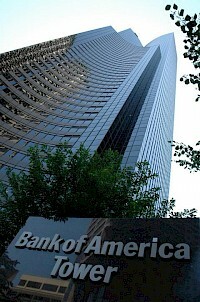 The Columbia Center (formerly the Bank of America Tower and the Columbia Seafirst Center) is the tallest skyscraper in the downtown Seattle skyline, as well as the tallest building in the State of Washington, and the Pacific Northwest region of North America. It occupies most of the block bounded by Fourth and Fifth Avenues and Cherry and Columbia Streets. The Mandarin Oriental Tower in Chicago will be a 74-story 930 foot (283 m) mixed use building targeted to be the ninth tallest building in Chicago upon its completion, assuming Waterview Tower is completed first (currently under construction). Mandarin Oriental Hotel Group, which does not have an equity stake in the project, is lending its name to the development and management of the hotel. 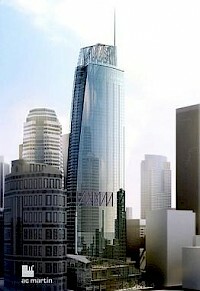 The 1101 Brickell Building is a planned skyscraper in downtown Miami, Florida, United States. It has been recently approved by the City of Miami and by the Federal Aviation Administration, and therefore construction is expected to begin soon. Completion of the building is unknown, while some speculate the building may start construction as soon as the "Late 2000's recession" ends. Bank of America Plaza is a 72-story late-modernist skyscraper located in the Main Street District of downtown Dallas, Texas. 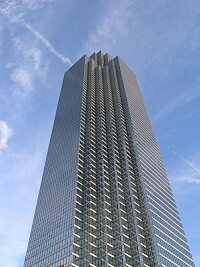 Standing at a structural height of 921 ft (281 m), it is the tallest skyscraper in the city of Dallas. It is also the third tallest in Texas and the 21st tallest in the United States, while also being the 53rd tallest building in the world. It contains 1,900,000 sq ft (177,000 m) of office space. The building was designed by JPJ Architects, Inc. and Bramalea LTD.